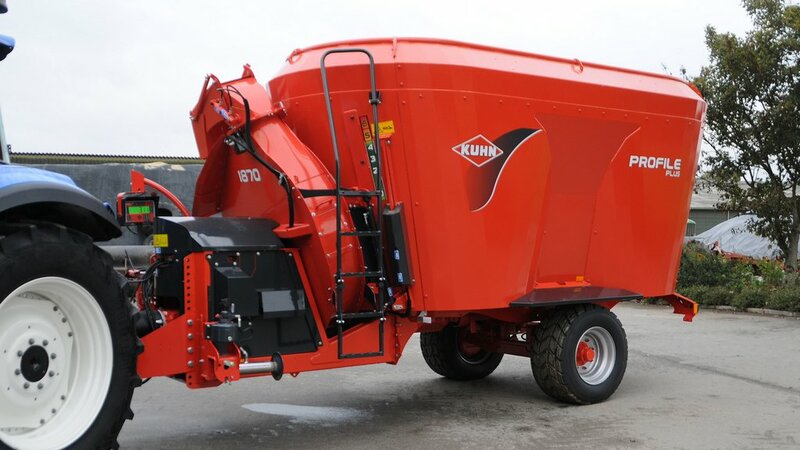 Kuhn recently launched a new range of dual-purpose TMR mixer and bedding wagons. The Profile Plus range of twin-auger TMR mixer wagons consists of four different models, all of which feature an integrated bedding system for added machine versatility, says the manufacturer. All models feature a narrow body design to make them compatible with old and new farm buildings and share a number of design characteristics as seen on its standard Profile 70 series vertical auger mixer wagons. These include a low loading height, compact external dimensions (the 15cu.m model measuring 2.42m wide by 2.83m high), right or left feed discharge door and a three-point electronic weighing system as standard. Kuhn's latest diet feeder and bedder combo. 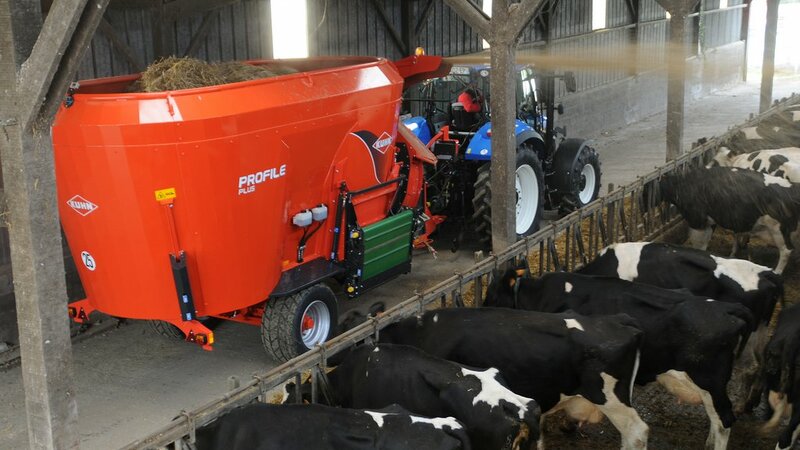 In addition, Profile Plus models also get a front mounted straw-blowing flywheel, enabling the machine to throw 600kg of bedding material to a distance of 18 metres in 4.5 minutes, says Kuhn. Available in capacities of 15, 16, 18 and 20mcu.m, Profile Plus wagons employ two vertical augers with adjustable counter-knives, giving the ability to cut fibrous material to a pre-determined length, says the manufacturer. Power requirement is 80hp plus for the 15cu.m model. Options include tilting feed conveyor and swivelling straw-blowing chutes. The new range starts at £41,034 for the 15cu.m model, rising to £43,687 for the 20cu.m capacity machine.